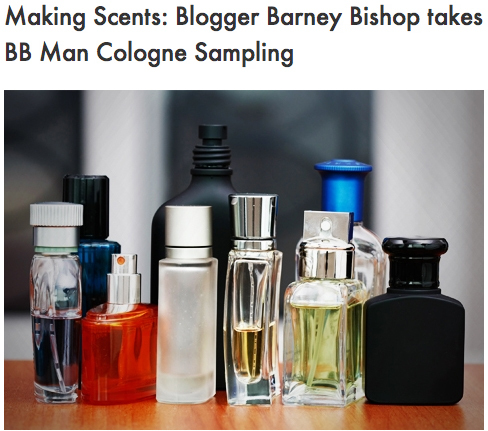 A few months back, Birchbox Man reached out and expressed interest in having me talk about fragrances on their recently launched site. Naturally I was excited by the opportunity and then life stepped in. With the perfect storm brewing, every possible obstacle got in the way of making this a reality. Fortunately they didn’t lose interest and it’s now live. This particular posting really touched me. My brother, who is no longer alive, is mentioned in this piece. It almost brought me to tears when I read those few line because it instantly took me back to my childhood. Then I realized, it’s a form of thanks to him for recognizing how in tuned I am with my sense of smell. Anyhow, here’s my interview…it’s a good (quick) read. About a week or so ago, I had some free time and went into Sephora to kill it. As I was going down the men’s isle, I noticed a gentlemen sampling the offering but he seemed strange. It was close to closing and the store was fairly empty. One of the sales associates was close by but kept her distance. He sprayed a few scent stripes but didn’t move along which I found odd. We typically spray, smell, contemplate, and move onto the next scent. This guy just stayed in the same place. The “I get it” moment came when the sales associate disappeared. As soon as she was out of sight, I saw him spraying cologne all over himself, I mean all over. Naturally I found this odd but I understood it. Don’t get me wrong, I don’t understand the overspraying; that is never acceptable. However, what I can appreciate is the shyness we suffer from when it comes to sampling. I decided to take this up with Fashion and Grooming Editor of Men’s Health, Mr. Brian Boye, whom I managed to pin down for a quick interview. What do you feel is at the root of the issue of men sampling? In my experience, men approach fragrance — and grooming in general — in a very different way than women. Shopping for these things is an ‘event’ for most women; something they’ll do with friends on a Saturday afternoon. For guys it’s a chore, and something they’d rather do on their own, as quickly as possible. 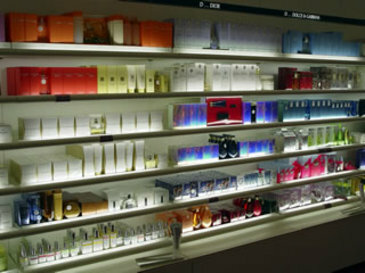 Most guys I know like to wear cologne, but don’t necessarily relish the idea of spending an afternoon at the store testing them. One of the reasons every major fragrance brand use Men’s Health to introduce new products is that guys are much more likely to use scent strips as a way to shop in private. The thought of conversing with a spritzer at the beauty counter is about as appealing as going in for a back wax. We feel this pressure to make a quick decision on something that takes a bit of time. It’s like enjoying a fine wine. You can’t do it quickly. At the beauty counter, you can feel like a sitting duck. You need to spend a moment taking in the smell, the aura before you can really appreciate the nuances of what you’re testing. To share that moment with a stranger who wants to sell you something can be off-putting. If this sounds like you, my advice is to go with a friend or girlfriend who can provide a second opinion and serve as a buffer between you the spritzer. Otherwise, explain to the salesperson that you’d like to try a few things on your own and when you’re ready for more help, you’ll let them know. Regardless of how you shop, the key is to finding the right scent is time. The top notes, which you’ll smell right away is not how the fragrance will actually wear. Spritz your hand or wrist then walk away for a few minutes. After the initial notes subside, you’ll discover the middle and bottom notes — a better indication of how the scent will smell on you over time. Then, you can make an informed decision. I couldn’t have said it any better. Guys, you will study a gadget to the tenth degree before making a purchase. Do yourself a favor and apply the same thinking to your fragrance purchases. The way you smell leaves such an impression that it does warrant more attention. So the next time you’re on the hunt for a new scent, take control of the situation, don’t be that sitting duck. I am having fun in Paris. 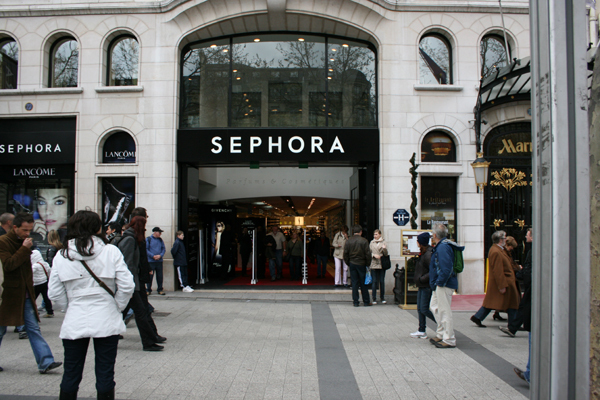 There’s a saying, “when in Rome do as the Roman’s do,” and with that, I had to stop off at Sephora for France is where it began back in 1969. I was curious to see if they carried anything over here that couldn’t be found at home. For the most part, they had just about everything. Mathew McConaughey was being well promoted for his endorsement of Dolce & Gabana’s The One and the music pumped just as loud. What I was surprised to see was Serge Luten…that did bring a smile to my face. I am currently wearing Santal Blanc and am loving it. As I perused the men’s section and was picked off by a sales attendant, he began telling me of a Givenchy promotion. Apparently for their 50th anniversary, they re-released their original men’s scents in France only. (Ok…now we’re getting somewhere.) On top of that, with the purchase of any Givenchy product, you could have your bottle engraved. As cheesy as that may sound, it was enough for me to jump. I picked Vetyver…masculine in its own right, its subtly sophisticated. I will admit, the promotion took it over the top. I engraved my bottle with none other than Fragrant Moments. I’m not sure if this will be making its way to the states, you know sales people will tell you just about anything to get you to make that purchase. However, a few of the original re-releases can be found online at Sephora.